The Unreality of Reality TV Revealed… a bit. 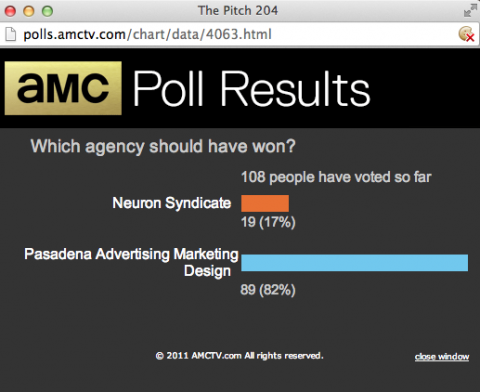 At PADV, we learned two main things from our appearance on AMC’s The Pitch. One is that Reality TV is a total stranger to the definition of reality. And two, there appears to be a sizable audience actually interested in how ad men and women come up with creative concepts and develop them into actual campaigns. Unfortunately, The Reality TV format is somewhat hampered in delivering that kind of insight. Reality (capital “R”) TV needs DRAMA! Conflict! Joy! Despair! All with exclamation points. And if achieving those goals takes editing totally unrelated footage from different days to fake it, adding scary music over something altogether mundane, or creating contrived scenarios unheard of absolutely anywhere in the advertising universe, so be it. Real advertising’s essential audience identification and evaluation, sketching out concepts, polishing ideas and creating an overarching theme designed to appeal to multiple targets are simply outside the realm of the possibility of Reality TV. So we decided to show it ourselves. After all, we were populating our new website; why not show a bit of the real creative process? Of course, we had already posted the major elements of our Tommy Bahama Women’s campaign the night of the broadcast, and the results were in. Considering how little of the campaign was actually shown, we were amazed that so many in that premiere night’s audience declared our campaign superior. So, rather than repeating the Tommy Bahama story all over again, we decided to show something different, an old client branding project that presented an equally complex challenge. 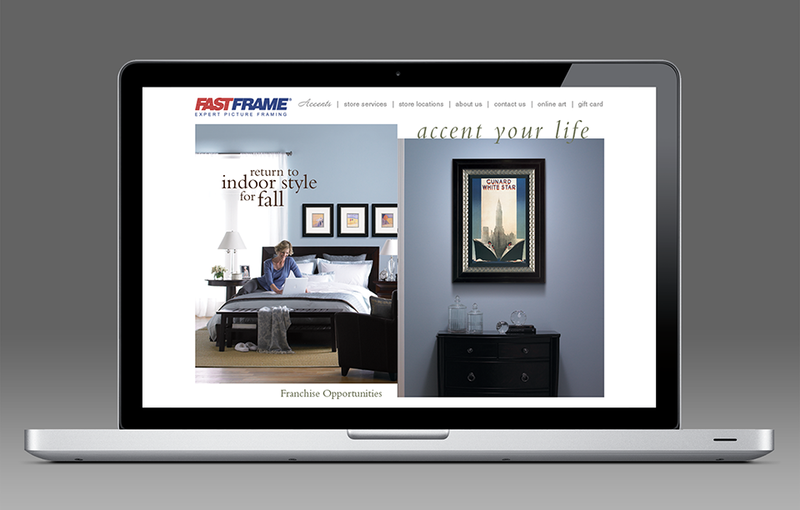 FASTFRAME is a picture frame retailer that had been doing in-house advertising for years when they came to us to refresh and reinvigorate their image. We visited their stores, talked to their franchisees and customers and helped them evaluate their own research to create an customer profile and give direction to a repositioning and branding campaign. The client initially wanted to list all the excellent features and benefits of working with FASTFRAME craftsmen. However their own research showed that the customers themselves felt that the ability to change the atmosphere of their environment with art was the benefit that mattered most of all. We came up with an empowering phrase that encouraged potential customers to make the choice that FASTFRAME gave them: Accent Your Life. That was step one. Next came how to develop that theme line and make it touch customers and prospective customers. On our site’s FASTFRAME page, we show how visual scenes were developed in traditional, contemporary and transitional styles. We use three animations to follow the process from sketch to photo shoot to finished art for web, e-blasts, posters, in-store POS, and magazine ads. There’s no Drama! Conflict! Joy! Or Despair! In other words, no Reality (TV definition) what-so-ever! Just research, concept, development, evaluation and execution. And of course, results.